Boston chose Pragya when she made her way to the Unites States from India four years ago. In a short span of time, she has successfully become a Bostonian and uses her experience to help anyone looking at making Boston their home. 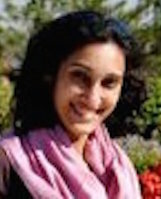 Pragya studied to be a lawyer and worked as an in-house legal counsel before her move to Boston. She is also a firm believer in giving back to the community and is passionately involved with a non-profit, Pratham, that educates underprivileged children in India. As a real estate agent, Pragya feels fortunate to be a part of someone’s journey in finding the right home, be it for a few months or years to come. She takes pride in her work ethic and is described by her clients as being extremely patient, friendly, and someone who always looks out for their best interest. In her free time, you will find Pragya at Beacon Hill Yoga or strolling and soaking up the sun at the Boston Public Garden or the Esplanade.